Divi Image Swap is an interactive Divi module which allows you to put swap-able images on any page or post in using Divi builder. 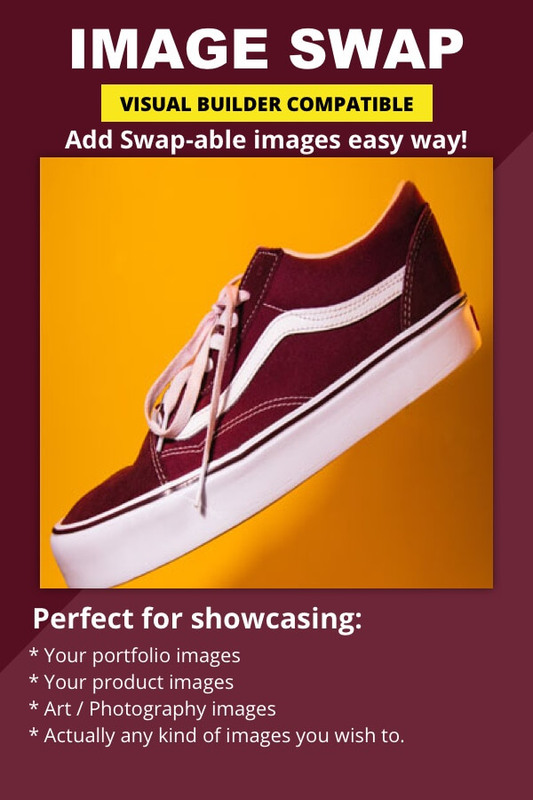 You can use this module to display your product images, food images, property image, pet images and what not. Actually any kind of images you wish to. Simply upload and install the plugin and then you should see a new module named “Image Swap”. Add it via the visual builder or back-end builder and the options there are simple and self-explanatory.